5G-ConnectedMobility creates a dedicated network infrastructure and application environment for 5G analysis and testing in real-time for Vehicle-to-vehicle, Vehicle-to-infrastructure, and Railway-to-infrastructure. The project is based on a test track of approx. 30 km along the A9 motorway and a high-speed railway track between Nuremberg-Feucht and Greding in Bavaria, Germany. 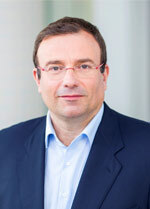 Founding Members of the “5G-ConnectedMobility” consortium are Ericsson, BMW Group, Deutsche Bahn, the three German mobile network operators with Deutsche Telekom, Telefónica Deutschland and Vodafone, the TU Dresden 5G Lab Germany, the Federal Highway Research Institute (BASt) and the Federal Regulatory Agency (BNetzA). The Federal Ministry of Transport and Digital Infrastructure and the Bavarian Road Construction Administration support the project. The objective is to accelerate 5G Research & Development (R&D) in Germany and in Europe as well as facilitating the integration of technology requirements from various industries into upcoming international 5G standardization activities. 5G-ConnectedMobility Activities in the area "Automotive"
5G-ConnectedMobility Activities in the area "Rail"
Nuremberg, February 8, 2019. Regardless whether it´s on rails, on the street or in the air – the emerging mobile broadband and network technology 5G is going to change the mobility and traffic concepts radically in the future. During a visit of the 5G-ConnectedMobility initiative, Federal Minister of Transport and Digital Infrastructure, Andreas Scheuer, convinced himself of the different possible application scenarios of the 5G technology in a mobility context. The Federal Ministry of Transport and Digital Infrastructure as well as the Free State of Bavaria provided a part of the digital test field for the initiative which was established at the federal motorway A9 in 2015. After the warm welcome of the Federal Minister as well as Stefan Koetz, chairman of the executive board of Ericsson GmbH, and professor Sabina Jeschke, member of the Management Board for Digitalization and Technology at Deutsche Bahn AG, the project partners demonstrated the 5G technology Network Slicing during the trip with the advanced TrainLab of Deutsche Bahn. The special feature hereby is the splitting of a physical network into different network parts (slices) with different requirements on the transmission. Hence, the experts simulated the critical communication of the European Train Control Systems on a specifically secured network slice, while a data-intensive transmission for entertainment applications challenged the system. „The fifth generation of mobile communications marks a milestone in the digitalization of railway transport und ensures more capacity and quality”, says professor Sabina Jeschke, member of the Management Board for Digitalization and Technology at Deutsche Bahn AG. The new 5G technology raises connectivity on rails on a new technological level. In perspective, it realizes radio transmission rates which enable big data analysis, machine learning and Artificial Intelligence (AI) on a huge scale in rail operations. Thus, data retrieved from sensors on trains and infrastructure plants can be transmitted noticeably faster based on the 5G technology, which leads to a significant increase in capacity on rails and improves the quality of the overall system. The 5G-ConnectedMobility consortium offers the possibility to already introduce the requirements the railway transport needs to be met to the development stage of the new technology. The next stop of the minister tour: the motorway administration Greding. Here, the centerpiece of the test field is located – the 5G technology container which connects the mobile base stations along the A9 with the 5G core network hosted by Ericsson Eurolab. Autonomous air taxis, from which the passenger can call, or remote-controlled drones, which monitor an infrastructure via video – there are many potential fields of application for the technology usage Airbus and Ericsson were demonstrating for the first time on a global level: With the help of the Network Slicing technology, different functionalities with different requirements on the mobile network were enabled over one common communication infrastructure. At the demonstration, the drone was connected via mobile radio in a height of 300 meters. Among other things, the functions for the data transmission between the drone and the control center were enabled. These could potentially realize the controlling of the drone or video streaming in the future. Airbus classifies 5G as very attractive technology for the future of mobility. 5G offers several advantages for the operation of commercial drones and is on its way of becoming a relevant technology for Urban Air Mobility (UAM). UAM is an approach to address emerging traffic problems in various areas (for example in parcel delivery or passenger transport). Together with the 5G-ConnectedMobility consortium, Airbus has successfully tested a critical component, the Network Slicing technology, for the reliable operation. consortium also had its own booth at this year’s Digital Summit in Nuremberg. Visitors were, amongst others, the Federal Minister of Transport and Digital Infrastructure Andreas Scheuer and the members of German parliament Tankred Schipanski and Maik Beermann. Perfectly matching the occasion of the Digital Summit in Nuremberg next week – probably the most important digitalization event in Germany –, Deutsche Bahn and Ericsson test the emerging mobile radio and network technology 5G for rail services. By means of the Network Slicing technology, three different functionalities with different requirements on the mobile radio network were enabled via one communication infrastructure at the test track of the 5G-ConnectedMobility consortium between Nuremberg and Greding. Among other things, functions for the train control, functions for the train supervision and on-board entertainment functions are tested simultaneously. In addition, Narrowband IoT and CAT M1 are applied for the surveillance of temperature and air humidity. During a total of six test drives with different speeds between 100 and 200 kilometers per hour, the 5G functionality Network Slicing was successfully tested in German rail services for the first time. While on-board entertainment, for example, needs a high data throughput, critical functionalities for the train control and supervision need to be highly fail-safe. In the case of train monitoring, the application for train supervision, a video stream is uploaded to the Edge Cloud application in Greding, which then can be supervised from any location. With Narrowband IoT and CAT M1 (Category M1) devices, services with low requirements on bandwidth as well as with a low energy consumption are realized. The 5G core network, to which the mobile radio sites at the test field are connected and through which the Network Slicing technology is enabled, is operated out of the Eurolab in Aachen, Ericsson’s research and development center in Germany. Whether you speak of Köttbullar, Knut or Midsommar – Sweden is not only a country with rich tradition, but also has established itself as worldwide innovation leader with its variety of future-oriented companies. To acknowledge the pioneering work of particularly committed corporations with Swedish origin in Germany was the aim of yesterday’s awarding of the Swedish Company Award 2018, where Ericsson GmbH received the highest award in the category “Large Company”. Thereby, Ericsson’s research and development work in the areas of 5G and Industry 4.0 were especially highlighted. One of the research projects that Ericsson informed about in the course of the day’s program was the 5G-ConnectedMobility test bed at the highway A9. Here, Ericsson and its consortia partners have jointly tested 5G use cases for road and rail transport since 2016. Ericsson presented the 5G-ConnectedMobility project at this year’s Mobilität Querdenken conference in Nürnberg. Visitors could inform themselves about key findings and solutions of the 5G-ConnectedMobility consortium. Representatives of the BMW Group, one of the nine consortia partners of 5G-CM, visited the 5G-ConnectedMobility test field in order to get the latest updates and check the current status of activities at the testbed. In order to drive further cross-industry collaboration opportunities towards 5G on the 5G-ConnectedMobility test field at the A9 motorway, the project was presented to ICT and mobility related stakeholder at the Bitkom Mobility Conference 2018 in Berlin. Representatives of the consortium met at the Federal Ministry of Transport and Digital Infrastructure in order to inform the project supporter about the latest developments and status quo of 5G-ConnectedMobility. The main focus of the meeting was on planned next steps and future use cases. The feedback from BMVI was overall very positive and they committed to further support the project. New 5G-ConnectedMobility brochures are out now! Read all about the project, its current scope and future use cases in the digital version of our official brochure. In the context of Ericsson’s key-note speech “5G FUTURE COMMUNICATION NETWORKS: IMPROVING ROAD SAFETY AND TRAFFIC EFFICIENCY” at this year’s 5G Automotive Forum in Berlin, the 5G-ConnectedMobility project was presented as a topic-relevant reference and collaboration project in the exhibition area of the event. 5G-ConnectedMobility was part of Ericsson’s active presence at this year’s IEEE 5G Summit in Dresden on September 25, 2018. This summit is annually organized by the IEEE and the 5G Lab Germany from the TU Dresden and addresses a holistic approach on various 5G technology assets towards tactile internet applications. Under the theme of “Shaping 5G ecosystems together”, 5G-ConnectedMobility presented its achievements and future objectives. Ericsson and Deutsche Bahn, two of the nine consortia partners of 5G-CM, jointly presented the 5G-ConnectedMobility project at InnoTrans this year. InnoTrans is the leading international trade fair for transport technology and, thus, provided the ideal platform for explaining the various achievements of the 5G-ConnectedMobility consortium (e.g. Use Cases with Network Slicing, CAT-M1, NB-IoT) to a wider audience. Representatives of Telefónica Deutschland, one of the nine consortia partners of 5G-CM, visited the 5G-ConnectedMobility test field and discussed possible future activities with the Ericsson team on site. Hottest topics were use cases for Network Slicing and business models for industry engagements. 5G-ConnectedMobility was part of Sample Day 2018 in Hamburg. Around 300 visitors could gain an interesting insight into the potentials which the 5G-CM testbed offers for the testing of real 5G use cases. President of the Federal Agency for Public Safety Digital Radio Andreas Gegenfurtner and member of the Bundestag Dr. Reinhard Brandl visited the 5G-ConnectedMobility testbed on July 24, 2018. They informed themselves about the project’s scope and gained a direct impression of the activities on the test field. By the integration of this innovative technology, 5G-ConnectedMobility enables an early testing of CAT M1 in the area of automotive and rail traffic. Düsseldorf, July 2nd, 2018. With the deployment of CAT M1 in the live network of the mobility test field 5G-ConnectedMobility, the new IoT mobile broadband technology radios in a live network in Germany for the first time. One advantage of CAT M1, compared to other technologies, is the effortless connection of moving IoT devices – even when changing the mobile radio cell. “The future of mobility lies in networked vehicles,” Stefan Koetz, chairman of the executive board of Ericsson GmbH, assures. “CAT M1 is a logical next step here because, unlike other IoT technologies, the technology enables a smooth transition from one mobile radio cell to another. That´s what makes it highly relevant in a mobility context.” The new technology has been deployed in the live network of the mobility test field 5G-ConnectedMobility on the A9 for several weeks now. CAT M1 is a technology which only requires a low power consumption and, in contrast to narrowband IoT, also offers voice and handover functions. Ericsson is a world leader in communications technology and services with headquarters in Stockholm, Sweden. Our organization consists of more than 95,000 experts who provide customers in 180 countries with innovative solutions and services. Together we are building a more connected future where anyone and any industry is empowered to reach their full potential. Net sales in 2017 were SEK 201.3 billion (EUR 20.9 billion). The Ericsson stock is listed on Nasdaq Stockholm and on NASDAQ in New York. Ericsson has been active in Germany for more than 60 years and employs 1,800 staff at 11 locations. The headquarters is located in Dusseldorf. We were pleased to welcome more than 100 guests from politics, ministries, associations and industry. Besides, more than 20 members of Parliament, e.g. industry representatives of Telefonica, Vodafone, Deutsche Telekom, Volkswagen, Innogy, Schaeffler were among the registrations. Official title of our event was “5G-ConnectedMobility: An example for cross-industrial 5G research and development in Germany” where we presented first results of the activities of the Ericsson coordinated 5G-ConnectedMobility consortium which started collaborative working back in 2016. 5G-ConnectedMobility creates a dedicated network infrastructure and application environment for 5G analysis and testing in real-time for Vehicle-to-vehicle, Vehicle-to-infrastructure, and Railway-to-infrastructure. Founding Members of the “5G-ConnectedMobility” consortium are Ericsson, BMW Group, Deutsche Bahn, the three German mobile network operators with Deutsche Telekom, Telefónica Deutschland and Vodafone, the TU Dresden 5G Lab Germany, the Federal Highway Research Institute (BASt) and the Federal Regulatory Agency (BNetzA). 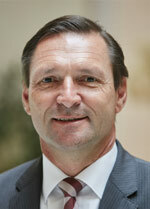 Ralf Wellens, the new Ericsson Project leader of 5G-ConnectedMobility, was the speaker at the event. We would like to take the opportunity to thank Frank Baberske, our previous Project leader, very much for his coordination of the consortium over the last years. Frank is now supporting the DT Andromeda roll-out project. With its own booth and a dedicated business builder, the 5G-ConnectedMobility consortium was also represented at the Mobile World Congress (MWC) 2018. Under the banner of “5G for Industries”, trade visitors could inform themselves about the current status and further objectives of the project. 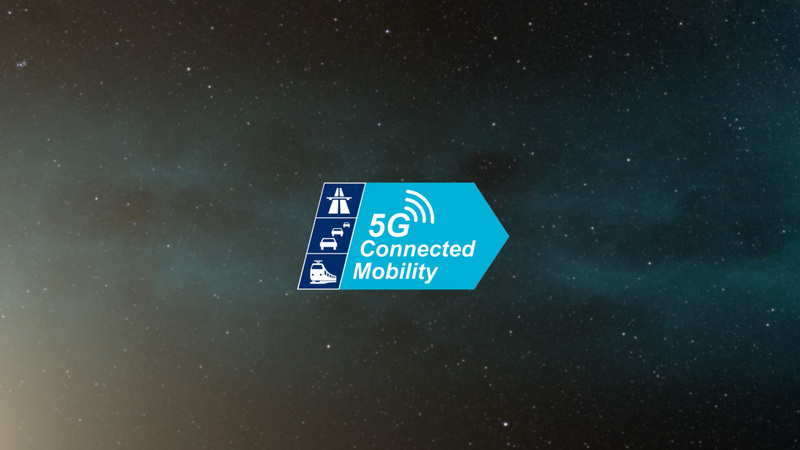 In the context of Ericsson’s membership at 5GAA (5G Automotive Association), the 5G-ConnectedMobility project was presented at IAA (International Automotive Exhibition) fair. A basic information about the project was added to the press kit of 5GAA’s media briefing which gave attending journalists an overview about the idea behind the consortium. The 5G-ConnectedMobility project was demonstrated at Mobile World Congress 2017 (MWC), one of the leading trade fairs for the ICT industry. Here, customers, partners, investors, media and analysts could get insights into the consortium´s scope and its road ahead. As launchpad for innovative technology and new ideas, MWC offered the perfect platform to further position 5G-ConnectedMobility and its aims on the market. In the context of the opening of the German Swedish Tech Forum focusing on intensifying the partnership between both countries in the field of innovation, a roundtable discussion about testbeds took place in Sweden. As active participant and in additional side-talks, Ericsson took the opportunity to present the activities of the 5G-ConnectedMobility consortium in this field to raise further awareness for the project´s scope. Ericsson, BMW Group, Deutsche Bahn, Deutsche Telekom, Telefónica Deutschland, Vodafone, the TU Dresden 5G Lab Germany, the Federal Highway Research Institute (BASt) and the Federal Regulatory Agency (BNetzA) are founding members of the consortium. 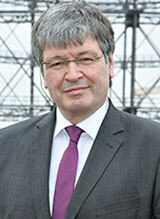 In the context of the launch of the cross-industry consortium “5G-ConnectedMobility” intended to strengthen the 5G research and development in Germany, former Federal Minister of Transport, Alexander Dobrindt, and the chairman of the executive board of Ericsson GmbH, Stefan Koetz, signed the declaration of intent on the sidelines of the IT-Summit in Saarbrücken. Former Federal Minister Dobrindt thereby stressed that 5G is a key technology for automated and connected driving. Ericsson (NASDAQ: ERIC) announced the formation of a cross-industry consortium to strengthen 5G research and development in Germany. Members of the “5G-ConnectedMobility” consortium are Ericsson, BMW Group, Deutsche Bahn, all three German mobile network operators -Deutsche Telekom, Telefónica Deutschland and Vodafone, the TU Dresden 5G Lab Germany, the Federal Highway Research Institute (BASt) and the Federal Regulatory Agency (BNetzA). The Federal Ministry of Transport and Digital Infrastructure and the Bavarian Road Construction Administration support the project. "5G-ConnectedMobility" creates an infrastructure and a real application environment on a "Digital Test Field Motorway", above all to carry out tests in the area of vehicle-to-vehicle, vehicle-to-infrastructure, digitalization of the railway infrastructure and other applications using 5G technology. For this purpose, “5G-ConnectedMobility” operates within an independent infrastructure, and is not dependent on any commercial network. This means that 5G prototype applications can be installed and tested regularly, in various network configurations, at any time, without restrictions. The dedicated Ericsson 5G mobile network allows live tests of real time applications, even under extreme network loads, and with very high travel speeds at the same time. Test conditions, which are hardly ever found in commercially operated live networks, can be created. In this context, Ericsson has received permission from the the Federal Regulatory Agency to use frequencies from the 700-MHz band, for the area of Nuremberg-Feucht to Greding, and will act as a network operator. The test track consists of several construction sections on the “Digital Test Field Motorway” in an area of around 30 km between the junctions of Nuremberg-Feucht and Greding, in which the A9 federal motorway and the high speed train route Nuremberg-Ingolstadt-Munich run in parallel, and are covered by the built up test network at the same time. The infrastructure is already completed in the first partial sections, meaning that live tests can begin immediately. For the mobile network infrastructure, sites of the Motorway Directorate North Bavaria (ABDN) being the local roads authority, Deutsche Bahn and the mobile network operators - Telefónica Deutschland and Deutsche Telekom are being used. The connection occurs via a glass fibre infrastructure of the local roads authority and Deutsche Bahn. The concentration point of the network is located in an equipment container equipped by Ericsson, which has been installed on the premises of the motorway maintenance agency in Greding. The core network will be operated from Ericsson’s ICT Development Center Eurolab near Aachen, which supervises Ericsson’s “5G for Germany” program amongst other things. The connection to this core network will be carried out via Vodafone’s “Interconnect Access” of the ABDN. The intention is to discuss the knowledge, perspectives and recommendations gained from this partnership and the technology, services and operating suggestions from the technical work packages of the project in an “Alignment Forum” of the members involved, and further develop them with the focus being on integration into international 5G standardization activities. In this context, the various project participants will draw on their membership in international bodies. Within the scope of "5G-ConnectedMobility" in particular, use cases of associated vehicle applications, for vehicle-to-vehicle, and vehicle-to-infrastructure communication, for new methods of traffic information provision in real time and cross manufacturer traffic control for automated vehicles, are currently planned. The “Digital Test Field Motorway” was set up by the The Federal Ministry of Transport and Digital Infrastructure, together with the Free State of Bavaria, the German Association of the Automotive Industry and the Federal Association of Information Technology, Telecommunications and New Media (Bitkom) on the A9 motorway in Bavaria where the automotive sector, digital economy and research institutions can test out pioneering systems and technologies under real conditions. Members of the 5G-ConnectedMobility consortium are Ericsson, BMW Group, Deutsche Bahn, Deutsche Telekom, Telefónica Deutschland, Vodafone, 5G Lab Germany at TU Dresden, the Federal Highway Research Institute (BASt) and the Bundesnetzagentur (BNetzA). The Federal Ministry of Transport and Digital Infrastructure as well as the Bavarian Road Construction Administration (motorway directorate of Northern Bavaria) are supporting the project. "For the past 20 years, the BMW Group has brought together unique, innovative functions that intelligently link drivers, vehicles and their environment under the term ConnectedDrive. Those functions not only increase comfort, but bring infotainment to life in a new dimension and also increase safety in BMW Group vehicles significantly. In the age of digital transformation, the BMW Group is increasingly turning into a technology company for premium mobility and services. Naturally, the use of and the contribution to the latest mobile technologies is a premise to succeed in this business. Therefore the BMW Group is, among other things, involved in the cross-industry consortium "5G-ConnectedMobility" in order to ensure the success of this project by enabling for timely standardization and testing under real conditions." "For the mobility industry, 5G is a key technology. We at Deutsche Bahn see an immense innovation potential in the new mobile broadband standard: for a digitized rail operation, which transports even more passengers on a high level of punctuality, the vision of automated and networked driving, highly efficient route and transport planning in terms of logistics, as well as for the foresighted maintenance of infrastructure and vehicles via IoT." DB Group offers global mobility and logistical services and operates in over 130 countries world-wide. The group management is located in Berlin. 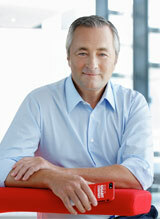 More than 310,000 employees work for the DB Group, of which about 40% are located in Germany. We design and operate the transport networks of the future. Through the integrated operation of traffic and railway infrastructure as well as the economically and ecologically intelligent connection of all modes of transport, we move people and goods. In the Passenger transport division DB Group transports in its trains and busses Europe-wide (including Germany) over 12 million passengers daily. In the Transport & Logistics division around 300 million tons are transported via rail and more than 100 million shipments with land transport annually in our European network. In our world-wide networks about 1.3 million tons of air freight and nearly 2.1 million TEU of ocean freight are transported. During the 2017 financial year DB Group posted revenues (adjusted) of about € 42.7 billion, and an EBIT of a good € 2.15 billion after adjustments for special items. DB Group's strategy focuses the strengthening and the expansion of our market positions in order to maintain competitiveness. In addition, sustainability and sustainable success is an essential factor in ensuring our future viability and hence the continued business success. Through a clear strategic focus in the operational divisions we want to continue to convince our customers. Deutsche Telekom is one of the world's leading integrated telecommunications companies, with some 168 million mobile customers, 28 million fixed-network lines, and 19 million broadband lines. We provide fixed-network/broadband, mobile communications, Internet, and wIPTV products and services for consumers, and information and communication technology (wICT) solutions for business and corporate customers. Deutsche Telekom is present in more than 50 countries. With a staff of some 216,000 employees throughout the world, we generated revenue of 74,9 billion Euros in the 2017 financial year, about 66 percent of it outside Germany. So that we can continue to be successful, we are already evolving from a traditional telephone company into an entirely new kind of service company. Our core business, i.e., the operation and sale of networks and connections, remains the basis. But at the same time we are proactively committing to business areas that open up new growth opportunities for us. "We stand behind 5G. In the medium term, 5G is an opportunity for Germany and Europe. We are prepared to continue our network investments in order to make our contribution and have for some time been involved in a wide range of 5G research and pilot projects in Germany and the EU, including the ground-breaking joint project 5G-ConnectedMobility. As part of this project, significant representatives of both industries are working together to reconcile the requirements of future communication networks with the needs of the automotive industry. Telefónica supports this initiative, which offers an extraordinary opportunity to open up completely new applications for both technologies." Telefónica Deutschland offers mobile and fixed services for private and business customers, as well as innovative digital products and services in the fields of Internet of Things and data analytics. With a total of 49.6 million customer lines, the company is one of the leading integrated telecommunications providers. 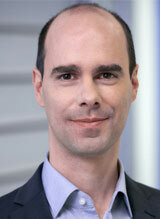 In the mobile segment alone, Telefónica Deutschland is responsible for more than 45.3 million lines. Telefónica Deutschland will become the "Mobile Customer & Digital Champion" – with this aspiration, the company intends to become the preferred customer partner in the German mobile service market by 2020. This is linked to a clear mandate that Telefónica Deutschland will make its customers’ lives easier and better and allows them mobile freedom in the digital world. In concrete terms, this means a consistently positive experience with the brand, products, customer service and network. The company already has an excellent foundation to reach this goal. No network operator in Germany connects more people with mobile services. Following the integration of E-Plus, the company is digitalising its business model while consistently focusing on customer benefit. For the 2017 financial year, Telefónica Deutschland generated revenue of 7.3 billion euros with almost 9,300 employees. "With our high-performance networks, we are the leading force for the Internet of Things. Together with the experts from Ericsson and the partners involved, we drive forward the development of new 5G technologies in the newly founded consortium and bring networked and fully automated cars from the laboratory onto the road." Vodafone Germany is one of the leading integrated telecommunications companies and, at the same time, Germany´s largest TV provider. With its 14,000 employees, the business concern supplies internet, mobile communications, fixed network and television from one source. As a gigabit company, Vodafone is constantly driving the infrastructure expansion in Germany forward, thereby paving the way for the gigabit society with increasingly faster networks in mobile communications and fixed network. Business customers can count on a broad ICT portfolio as Vodafone is connecting human and machine, secures corporate networks as well as communication and stores data for companies in a German cloud. About 90 % of all DAX companies and 15 of 16 federal states already have decided to trust in Vodafone. With more than 46 million mobile communications cards, 6.6 million fixed network and broadband customers and numerous digital solutions, Vodafone Germany generated a service revenue of more than 10 billion euro in the past financial year. Vodafone Germany is the biggest country organization of the Vodafone Group, which is one of the biggest telecommunications groups in the world. The business concern runs its own mobile broadband networks in 25 countries and maintains partner networks in 46 additional nations. The group operates their own fixed network infrastructures in 18 countries. Vodafone counts about 535.8 million mobile communications and 19.7 million fixed network customers worldwide. "The TU Dresden sees a great opportunity in this project, to test the previously developed technologies of the 5G Lab Germany, with important partners in the field. Connected cars will significantly increase safety in traffic but also require new technologies for the dynamic networks of the future. Due to the existing excellent cooperation with Ericsson, Deutsche Telekom and Vodafone, we are confident of being able to provide the first practical results soon." The upcoming fifth generation (5G) of mobile communication systems will impact our life more than any other wireless technology in the past. The disruptive changes are the introduction of the Tactile Internet introducing latencies of 1ms, massive increase of security and resilience, as well as massive increase in throughput. It will enable tackling new markets such as Industry 4.0, transportation systems including secure driving, smart grids, health care, and many more disruption in markets as agriculture and construction industry. The new technical requirements must be carefully extracted from a deep understanding of the Tactile Internet applications. New key technologies in network architecture, air interface, and cloud systems will achieve the requirements. This holistic 5G view is the core theme of the 5G Lab Germany, which is organized in four different technology tracks. With more than 20 faculty members, more than almost 600 researchers and our cooperation partners from industry we are well prepared for the upcoming research challenges in the 5G world. "BASt is the practice-oriented, technical-scientific research institute of the German Federal Government in the road sector. One of its key tasks is the improvement of road safety. We hope that the application of the 5th generation of mobile broadband technology in road traffic will have further positive effects. Thus, it makes sense to include the BASt directly into the trial period in order to value the potential of this innovative technology for the road safety as early as possible and consider this for future developments." The Federal Highway Research Institute (BASt) is the practice-oriented, technical-scientific research institute of the German Government in the field of road engineering. It is dedicated to a wide range of tasks, which result from the relationships between roads, humans and the environment. Its mission is the improvement of safety, environmental compatibility, efficiency and performance relating to roads. The BASt provides the Federal Ministry of Transport and Digital Infrastructure (BMVI) with scientifically valid aids as decision support in technical and transport policy issues. The tasks range from planning, coordination and performance of multi-annual research projects through to the fast response to questions in supporting the current work of the BMVI. It is a leading member of the network of national and European cutting-edge research institutes in the field of road engineering and is significantly involved on a worldwide basis in drawing up regulations and standards. The tasks of the BASt also include consultancy, attestation and inspection and certification activities as well as functioning as the driving licence procedure assessment centre. It was established in 1951 and has been based in Bergisch Gladbach since 1983. 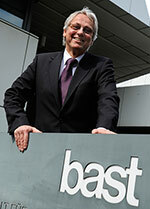 Since 1970, the BASt has been the central point for road traffic accident research in Germany.